From the moment we are born, we begin forming ideas, beliefs and images of how we should act, what we should and shouldn’t do and how to behave. We learn to live our lives trying to satisfy other people’s demands and expectations because we are afraid of rejection, of being singled out, of not being good enough. Every one of us has created a unique image of perfection that we not only judge others by but ourselves as well. This ‘perfection persona’ is what we believe is necessary to be accepted. It embodies our physical appearance, our work ethic, our success, our personality. Yet no matter how hard we try, no one, including us, will ever live up to this idealistic image. Our idea of what is it to be perfect is not real. It is not and never will be attainable. Because of this, we have automatically set others as well as ourselves up to fail. If we make a mistake, we are embarrassed to take responsibility but yet mentally berate ourselves repeatedly for our perceived failure. Throughout our life, we continually fall short, never becoming that vision of perfection. This results in a downward spiral of self-rejection because ultimately, we are unable to forgive ourselves for not being flawless. Because we are not the person we believe we should be, we hide who we really are from everyone we encounter. We put up walls and cower behind ‘social masks,’ to avoid other people discovering we are not perfect. We don’t want anyone to see who we really are for fear of being rejected. By disregarding and diminishing our authentic selves, we feel lesser than, fake, frustrated, dishonest and phony. Our limiting beliefs and ideas of having to be perfect hinder us, holding us back from being who we genuinely are. To dissolve those falsely formed ideas of how we should act and who we should be, there are four key agreements we can incorporate into our lives. These agreements will dispel our false ‘perfectionist vision,’ enabling us to regain our personal power and appreciation, live life authentically and allow others to do the same. These four agreements are outlined in detail in Don Miguel Ruiz’ book by the same name. By letting go of our damaging beliefs and instead, living by these agreements, we are able to be genuine, honest, act and speak with integrity and strive to be the best us we can be. They allow us all to let go of our fear of rejection and failure, living our life with kindness, vigor, excitement and gratitude. Nothing others do is because of you. What others say and do is a projection of their own reality, their own beliefs. When you are immune to the opinions and actions of others, you will no longer be the victim of needless suffering. Find the courage to ask questions and to express what you really want and need. Communicate with others as clearly as you can to avoid misunderstandings, sadness and drama. Your best is going to change from moment to moment. Under any circumstance, simply do your best and you will avoid self-judgment, self-abuse and regret. 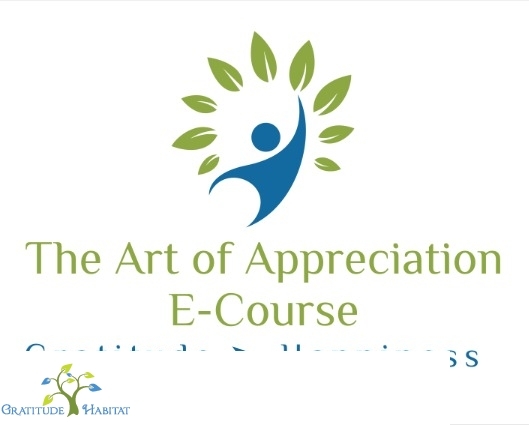 Gratitude Habitat is honored to be one of the Top 30 Positivity Blogs on the Internet. 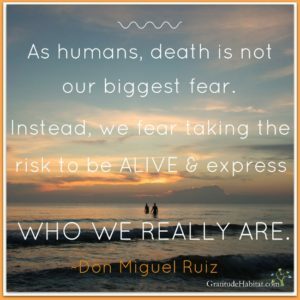 Article excerpts taken from The Four Agreements by Don Miguel Ruiz.